Very low operating cost, low maintenance. Configurable probe ports, test cells and working volumes. 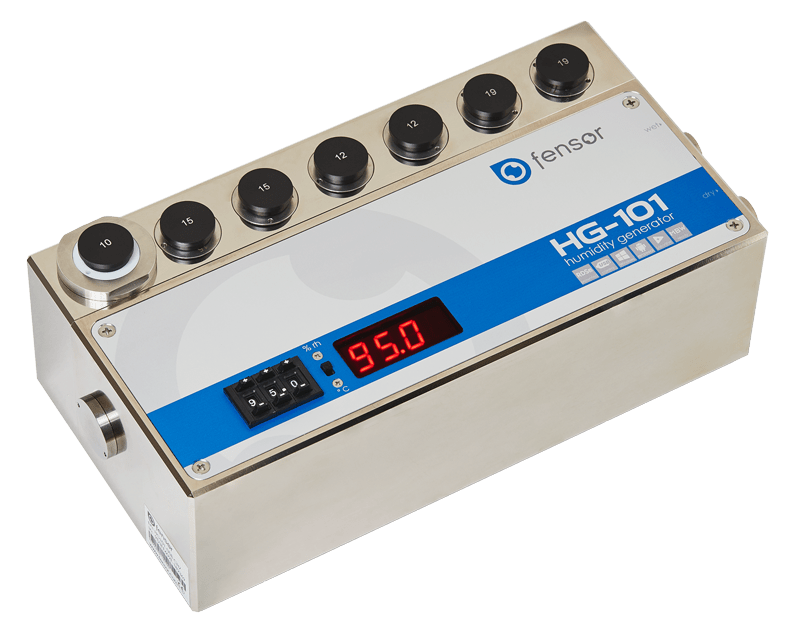 The HG-101 allows simple and rapid realization of relative humidity calibration of sensors, probes, loggers and recorders from any manufacturer. 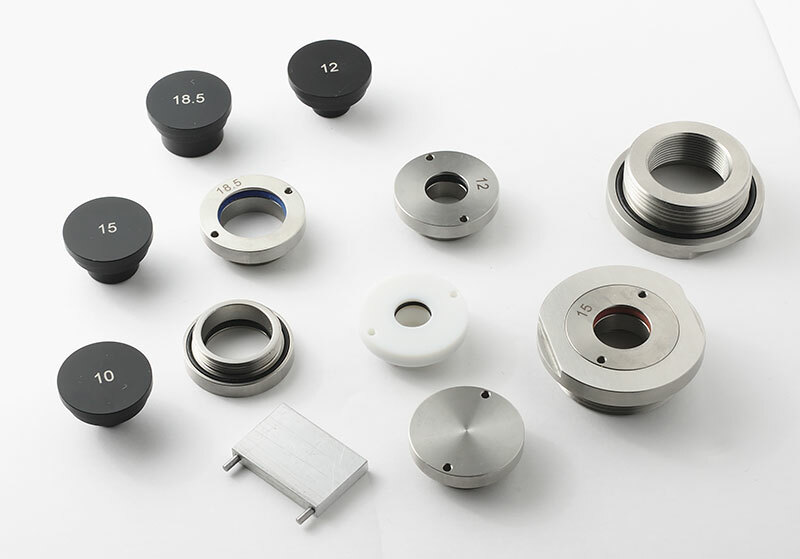 Interchangeable probe ports and test cells are available to fit most types of instrument. 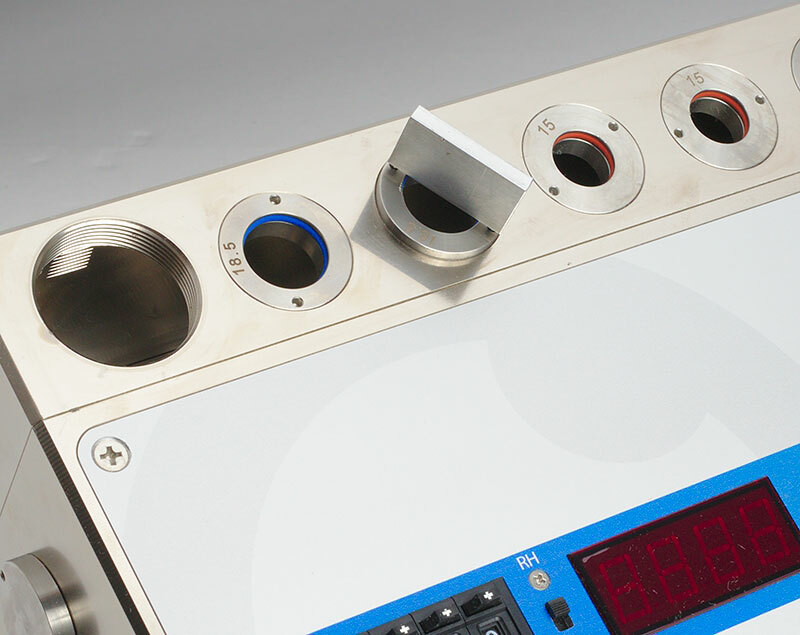 The standard probe test cell has 7 ports for probes up to 30mm in diameter. 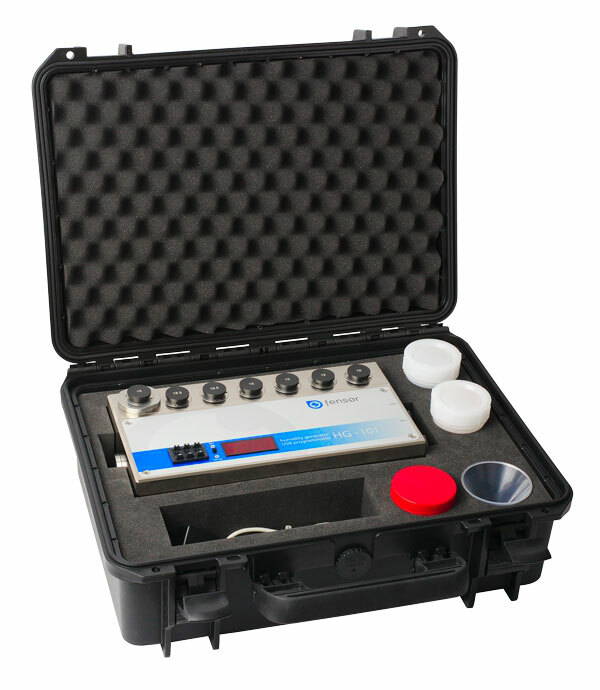 Test cells with up to 14 probe ports and customized solutions to suit different instrument types such as loggers with integrated sensors are available. Once the instruments under test are inserted in to the test cell, the operator just needs to set the required humidity value using the panel mounted switches or by software through the USB interface. The HG-101 is very fast to reach a target RH value in typically 30 seconds thanks to the innovative RDSa mixing system. Stability is better than ±0.2% over the range 10 to 90 %rh. Over the full 5 to 95 %rh range, extended stabilisation time is necessary to reach the best performance. 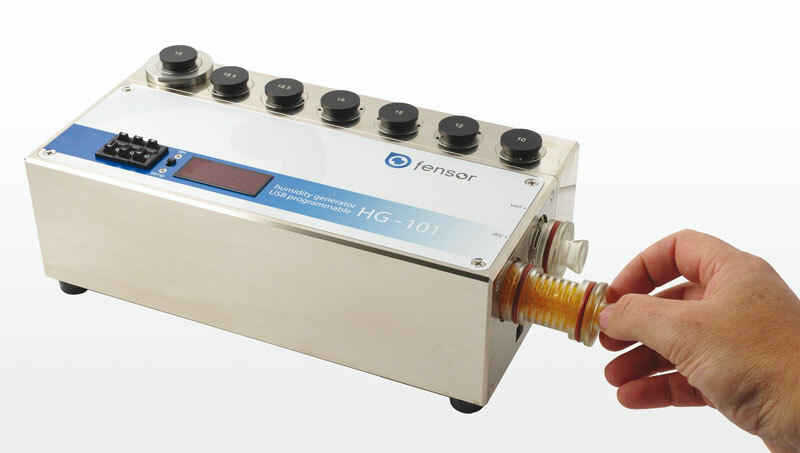 The HG-101 humidity generator does not use a liquid water reservoir, so it can be used in different positions depending on the requirements of the calibration. Similarly, no particular care (emptying, cleaning, drying) is required between uses or during transportation. Thanks to the USB port and the included software for free, it is possible to automate calibration, freeing time to metrologist. Indeed, the software with a scheduler, the user has the possibility to create sequences containing up to 10 points, the length of the bearings is configured. 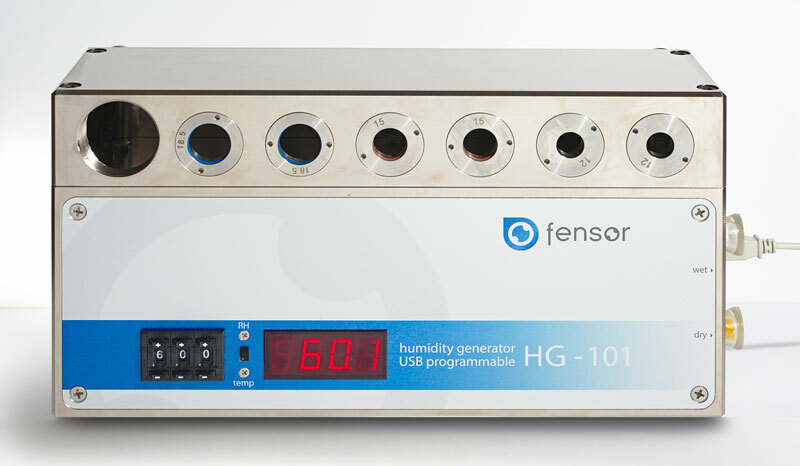 Humidity calibration can be performed over a temperature range of 5 to 50 °C by placing the HG101 in a climatic chamber. Set points can be changed through the USB interface and control software installed on a PC. 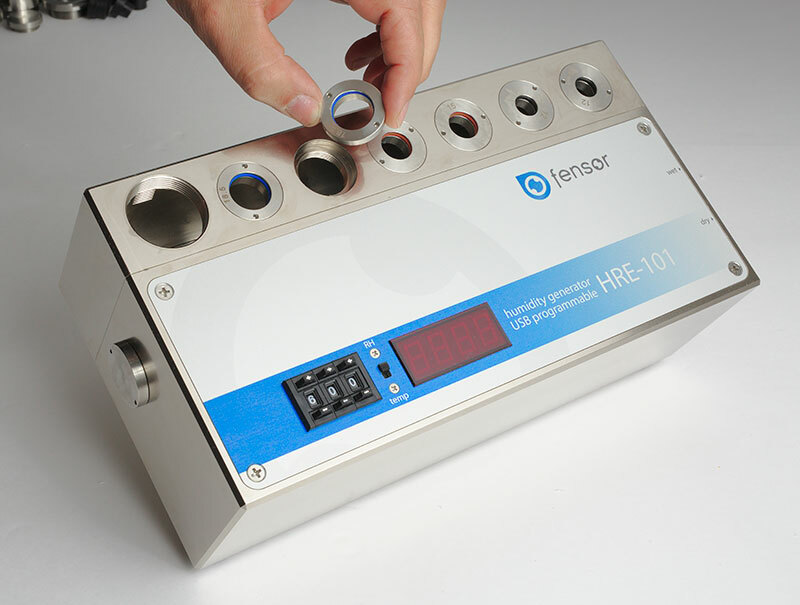 The HG-101 is designed to be used within a thermostatically controlled chamber or enclosure, without compromising the homogeneity of the temperature inside the HG101 test cell. To do this, the materials used for the calibrator were selected to promote thermal diffusivity and low hygroscopicity. To reduce uncertainty and external influences, the structure is configured to minimize cold spots, promote heat distribution and ensure consistency in temperature. As relative humidity is so temperature dependent, this means the temperature related contributions to RH calibration uncertainty are minimised. 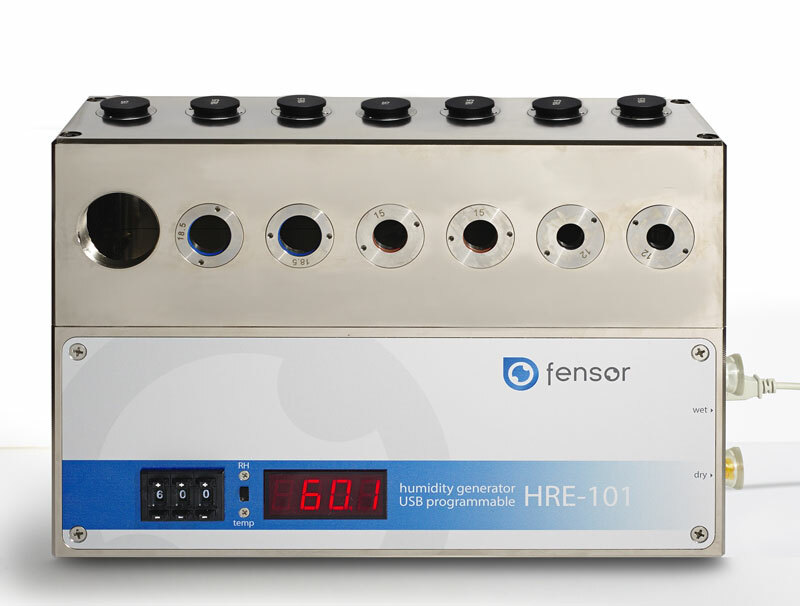 The RDSa rotary dilution system is specifically developed and patented to allow the relative humidity generator HG-101 to control the relative humidity with high speed and high stability. Indeed, the response time for a ramp from 20 to 80% is performed in 30 seconds. 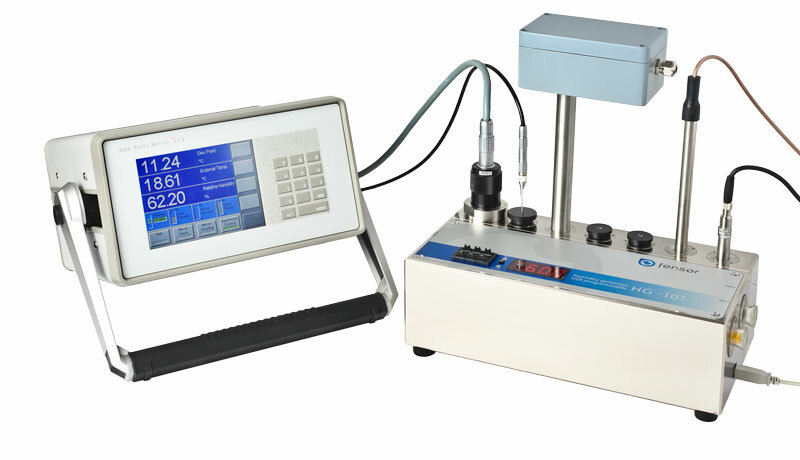 Reaches the level, the stability of the measurement is better than 0.2% RH. 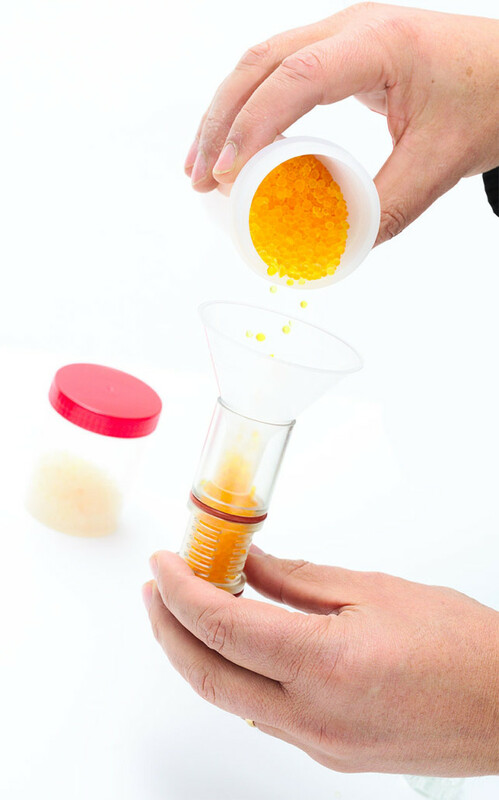 RDSa performs the dilution in a closed circulation loop, which contributes to the excellent stability obtained but also to ensure low consumption of desiccant silica gel and thus a high degree of autonomy. Furthermore, the system RDSa not involving pump, its operation is completely silent, a very appreciable peculiarity in the laboratory. 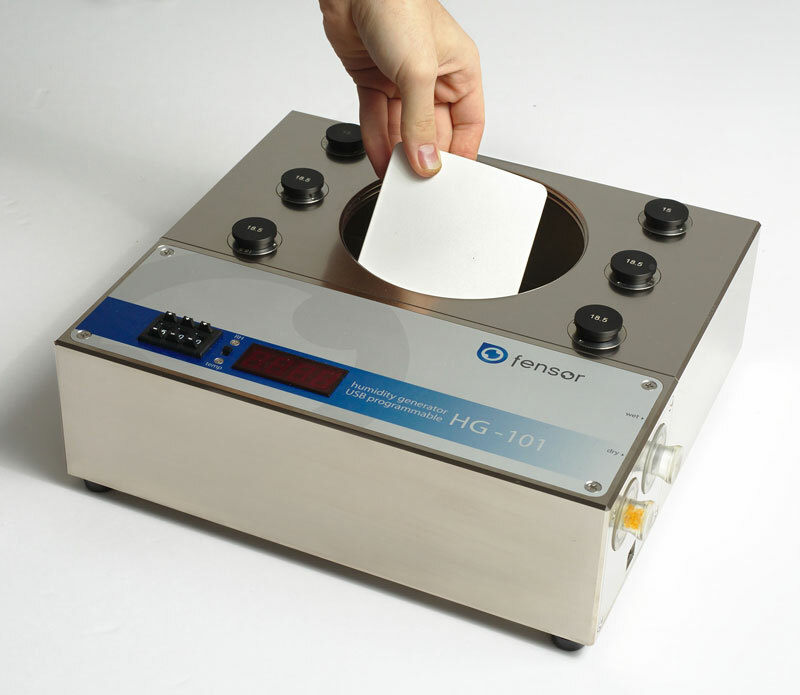 The HG-101 calibrator RDSa humidity control system includes desiccant and humidifying cartridges that are easily removed and simple for the user to maintain, even whilst generating humidity. When performance diminishes, the user can replace the desiccant material and apply distilled water to the wetted media in the HG-101 humidifier. HG-101 generator operates in a closed loop, so it is particularly economical in terms of desiccant and distilled water consumption. User’s can recycle the desiccant by regeneration in an oven at 120 °C. Internal cleaning when needed can be easily performed. These factors mean the HG-101 has extremely low operating costs. 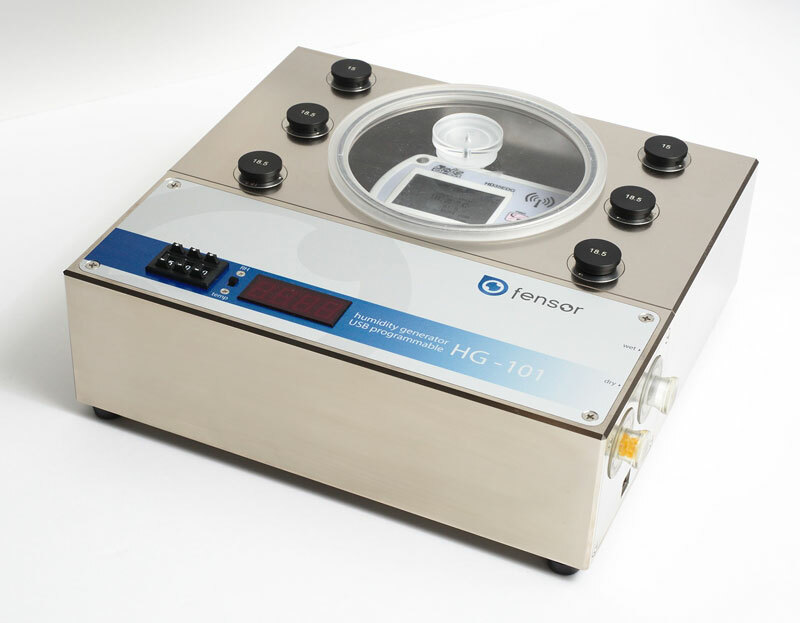 The RDSa flow generation system does not need liquid water, so the HG101 can be used in various positions as required in on-site calibrations. No special procedures in terms of emptying, drying or cleaning is needed between use or during transportation, so the system is ready for immediate use once powered up. 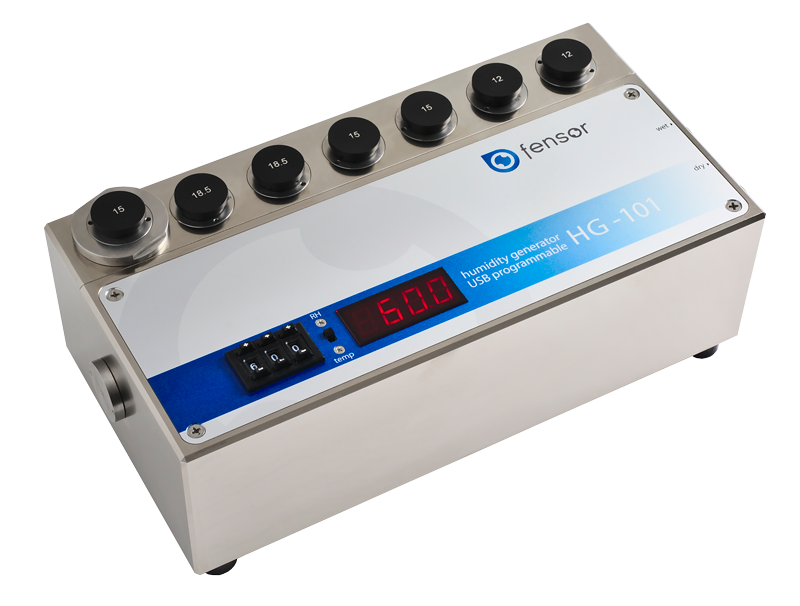 The HG-101 humidity calibrator controls to the user set point with a precisely adjusted RH probe supplied with a SCS accredited calibration certificate. 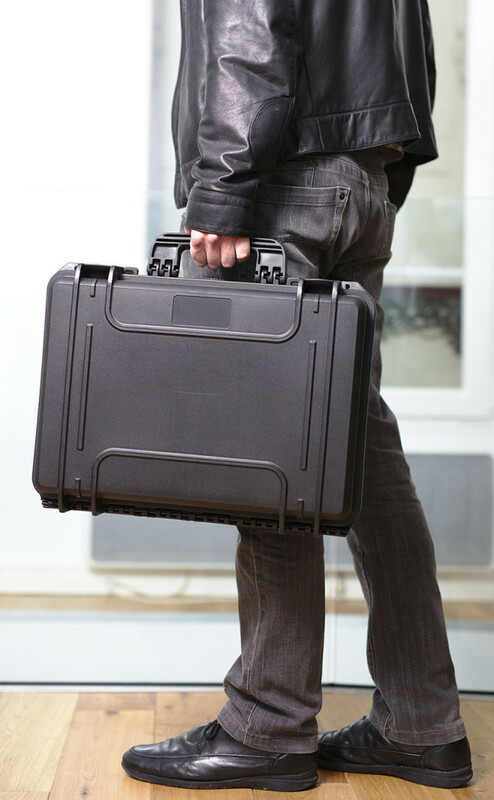 However, to achieve the lowest possible uncertainty, Metrologists would use a transfer standard reference for verification of the generated humidity and temperature. 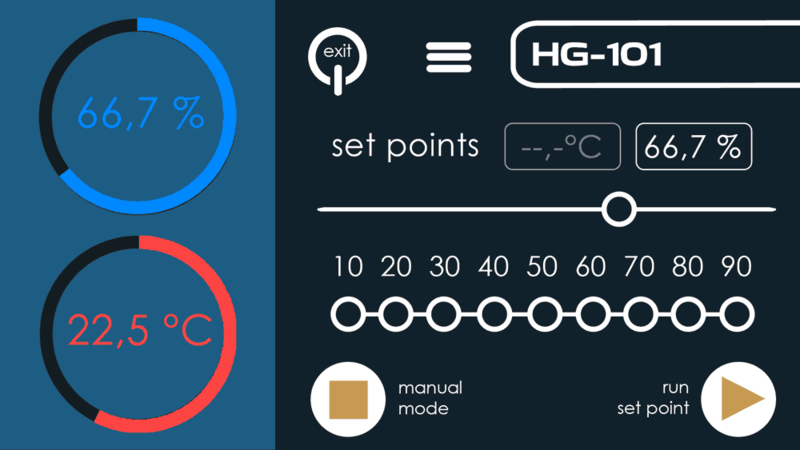 The HG101 has been configured to work with the MBW 473-RP2 dew point mirror. 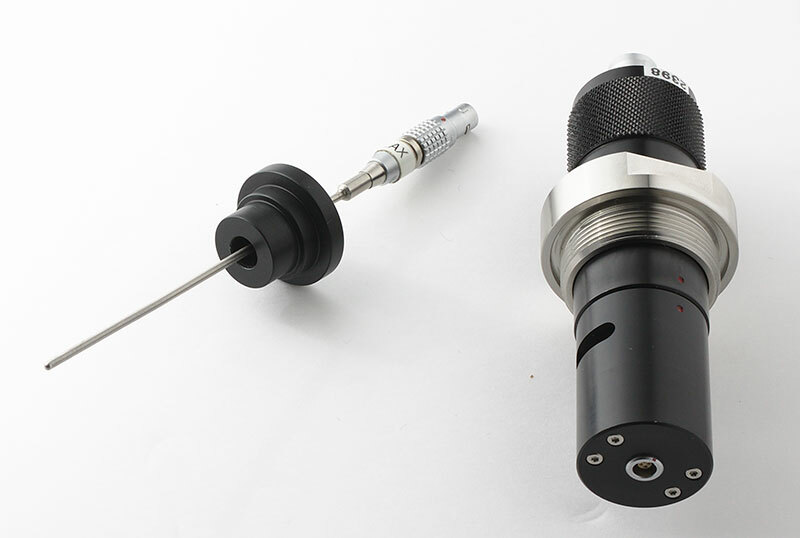 The RP2 dew point measuring head fits directly in to the 30mm test cell ports, and the cable mounted Pt100 temperature probe can be positioned according to the users preference using specific adapters. MBW Gecko software is compatible with the HG-101 and 473. It provides data display, graphing and acquisition, as well as the functionality to change set points and run profiles. Gecko can also be used to apply corrections from calibration certificates issued by ISO17025 accredited laboratories such as COFRAC, SCS, NIST, DKD, UKAS, ACCREDIA etc. Gecko is included within the supply of the 473.